Location: Odeon Hotel - restaurant is located in the very archaeological heart of Plovdiv. The hotel is a restored ancient house and is a perfect choice for those, searching for a place, not only to sleep in, but to feel the atmosphere of the old Plovdiv. Accommodation: the hotel dispose of 3 rooms with twin beds; 2 rooms with a double bed; 2 apartments; 1 luxury studio. The rooms have cable TV, phone, mini-bar, air-conditioner and Internet. All premises are spacious with unique interior. 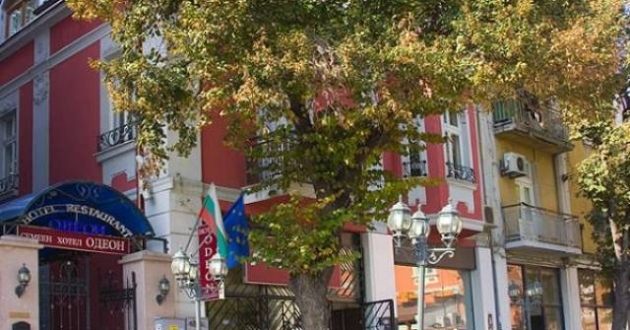 In the hotel: The Odeon restaurant offers the best of Bulgarian cuisine and is decorated with oak furniture, brackets and painted glass by Ivan Lambev, pictures of one of the famous Plovdiv artists.